Don't miss this charming and quiet studio with separate kitchen, two spacious closets and beautiful hardwood floors. Prewar lovers will also appreciate the original details, including high beamed ceilings and picture moldings. The bathroom with original subway tiling, old world soaking tub and pedestal sink in an excellent shape. 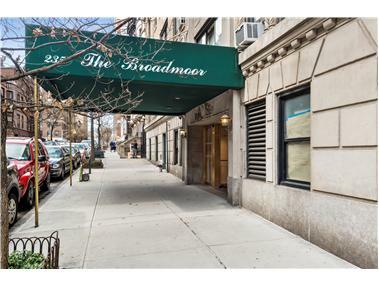 The Broadmoor is a full-service, elevator building with 24 hour doorman and concierge. It features one of a kind indoor solarium with wireless internet access, outdoor roof deck with 360-degree views perfect for relaxation or entertaining, bicycle storage and basement laundry. The building is in a prime location, one block from the 1 train, great restaurants, shopping and just blocks away from Central and Riverside Park.